I shook his hand. He smiled, thanked me for my kind words and then was subsequently mobbed by a crowd of adoring fans. The man whose hand I just shook was 2010, 2011, 2012 and newly-crowned 2013 F1 champion, Sebastian Vettel. And, that handshake made my night. 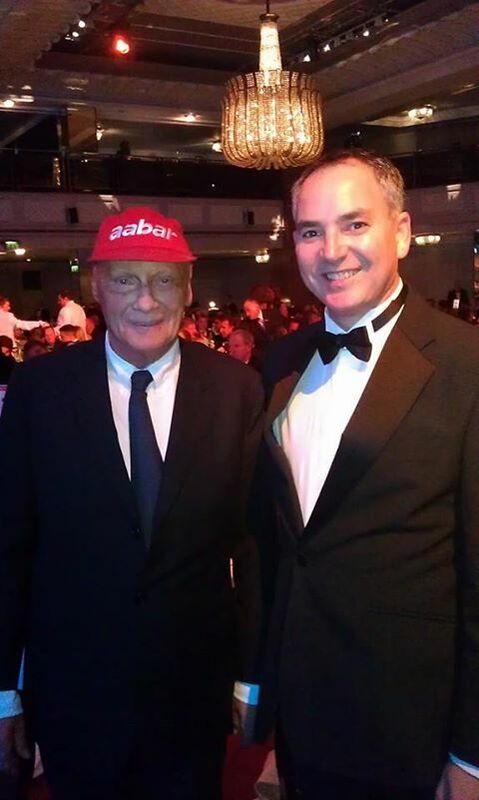 It was last Sunday evening, December 1st, 2013 and I was attending the highly-prestigious Autosport Awards at the Grosvenor House Hotel – the venue which has hosted this event for all but a couple of the 25 years over which the event has been staged. It must have been the best part of 20 years since I last attended this prestigious black-tie event and it certainly has not lost any of its glitz and glamour. Quite the opposite in fact. But, as with all previous events, the motor sport royalty mingled easily with the younger, rising stars of the track. From grass roots to the stars you could say. 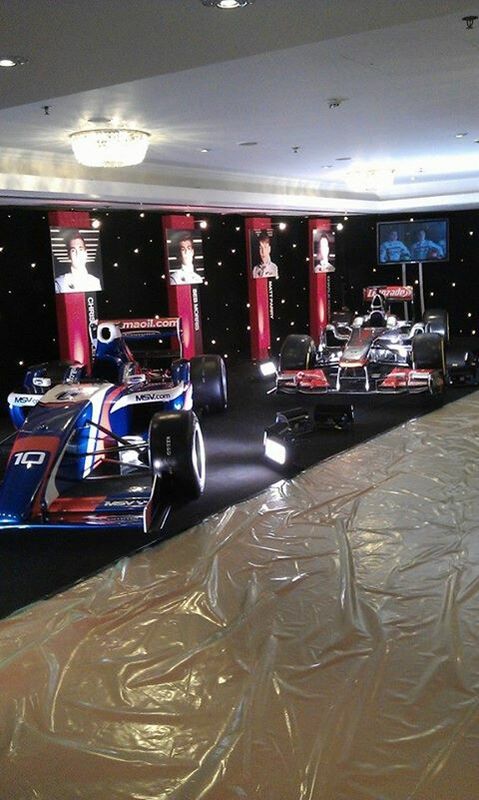 I was there at the inaugural Autosport Awards event and attended for the following five years. At that first time, I was a young, 21 year old graduate, with his first job in publishing, specifically working on Autosport magazine, Haymarket Publishing’s flagship motoring title. For six and a half great years, I managed advertising, sponsorship and promotions for that motor racing publication, meeting all the stars of the track and visiting many racing circuits around the world. Formula 1, Le Mans, Indy 500. Glamorous times, eh? But, it wasn’t always glamorous. Brands Hatch on a wet November weekend, or come to think of it, any wet weekend at Cadwell Park, Snetterton, Thruxton and the like could be enough to put many off motor sport for life. But it didn’t. It just made my passion stronger. My career then took me away from Haymarket for a 6 month role with the March racing team as part of their marketing division, with sole responsibilities to attract sponsorship for their three driver team. 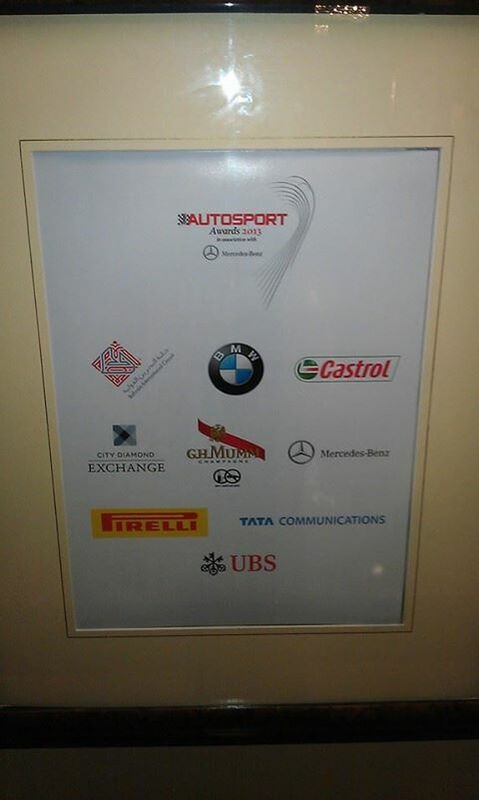 Jarvis Hotels, Hom Menswear, Top Gear magazine ended up being the principal sponsors for a very successful season. After that, I was employed as the advertising manager for the official Grands Prix programmes, by a publishing house who had secured the rights. Regrettably, it wasn’t that secure as one year later, the rights were won by another publishing house and whilst the programmes moved across, I didn’t. Whilst my passion for the sport had grown, my career on the fringes of motor sport had come to an end. Over those formative years, I had learned much about the commercial side of the sport. And was fully aware of the power of sports sponsorship and motorsport marketing in general. And, when done correctly, just how successful it could be. Fast forward to 2013. So, why on this cold December evening had I put on my dress suit, straightened my bow tie and struggled with my cuff links to attend this event, if I was no longer involved in the sport? Enter…. diamonds……..motor sport marketing has a new best friend! Earlier this year, Design Inc successfully won a new integrated account: City Diamond Exchange, a London, Antwerp and New York – based diamond investment house. Acting as their full service marketing, advertising, design and PR agency, our strategic responsibilities include growing the profile of this company in the UK and supporting its entry into new global markets. An early scoping planning meeting highlighted the need to build awareness and develop a customer base across a number of high profile industry sectors. Motor sport was one of five key sectors identified and prioritised for 2013-14. – This was a critical area where our strategy, historical connections and negotiation skills were brought to bear to facilitate a good result for all parties. This was seen as a priority by CDE and another core area where industry protocols needed to be adhered to and a promotion devised for the night and beyond including some architectural POS presence. The promotional plan included data capture and developing a CRM database and reference materials including client testimonials and investment case studies to use in establishing a dialogue with clients and prospects as a CDE community. The fusion of diamonds and motor sport performed extremely well on the night. So well in fact that the returns on this marketing venture has already heavily outweighed the investment. The City Diamond Exchange brand was heavily promoted throughout the event with large brand logos clearly on the stage, visible to all the guests and the TV cameras. Moreover, a million pounds worth of diamonds glistening in secure show cases around the venue truly grabbed the guests’ attention who, in return for passing over their details were entered into a competition to win a share of the diamonds on show. The networking opportunities at the City Diamond Exchange – sponsored champagne reception provided idea access into the affluent and powerful of the motorsport sector. Drivers, owners, sponsors, investors, they all made contact with our client and will all be contacted again at follow up. 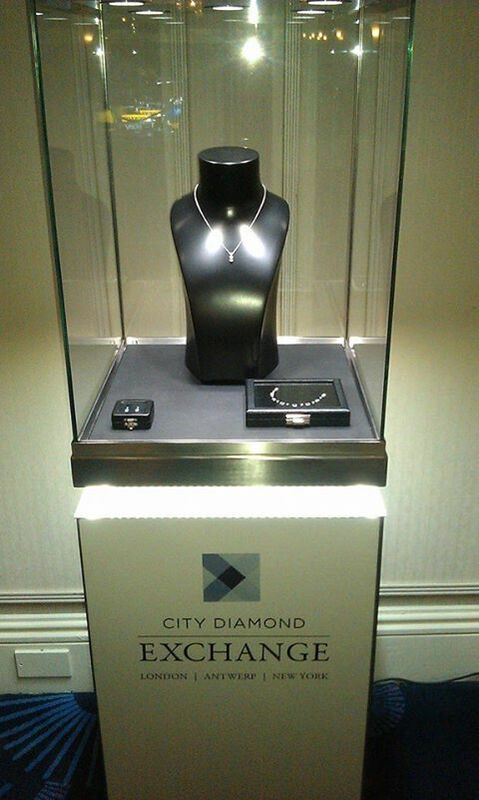 The event has set the pace for the next stage in the high octane brand journey of City Diamond Exchange. We look forward to developing the next chapter in the strategic marketing plan for 2014 and beyond. As for myself, I thank my client for inviting me to be a part of their table, situated at the front of the Great Hall. I rekindled old friendships with past contacts and colleagues and was lucky enough to have conversations with many of my heros, including past and present F1 stars. This culminated in a short exchange of words with Sebastian Vettel. I had congratulated him for his hilarious speech on stage that evening (you can see it here). He said ‘thank you’, shook my hand and was then swallowed up by a mob of adoring fans.